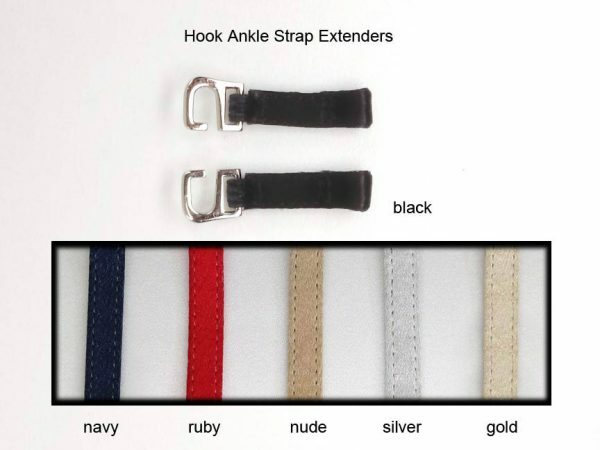 Ankle Strap Extender | Hook style ankle strap extender gives extra length! 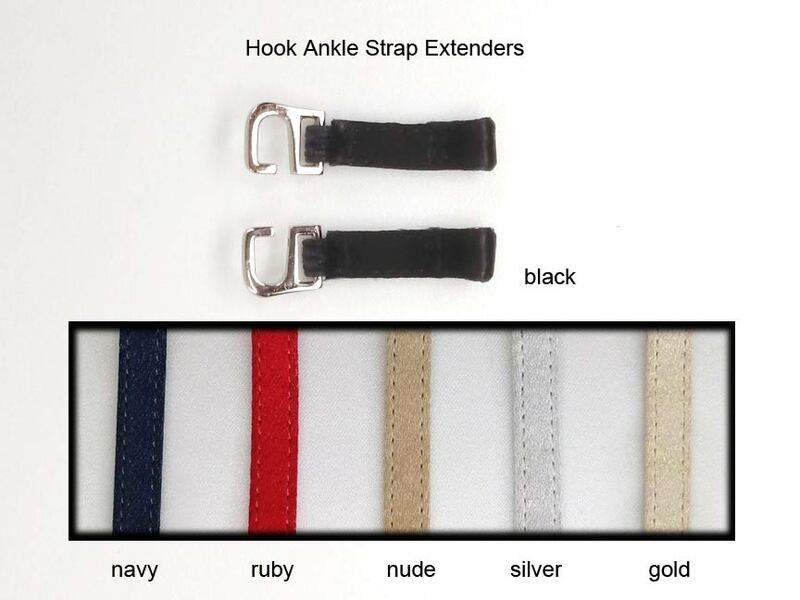 If the stitched in straps on your Angela Nuran shoes aren’t long enough to fasten around your ankles, our hook style ankle strap extender gives extra length so you can wear the shoes. It’s very discreet when buckled. It’s also fabulous for women whose ankles swell occasionally, so you can use the extenders as needed and remove them later. 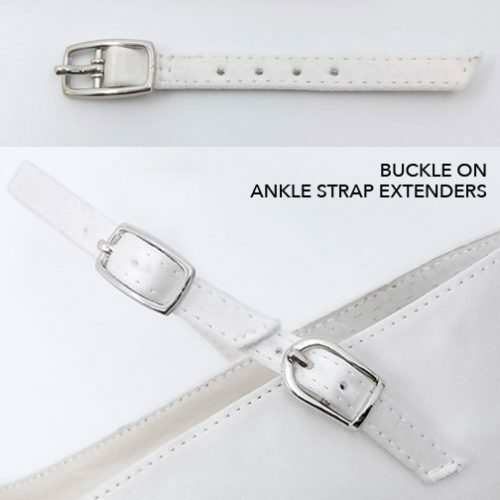 You can view our buckle style extenders here. 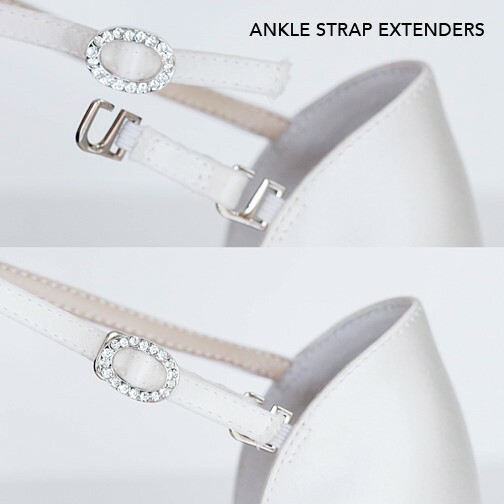 Hook style ankle strap extenders must be used on Angela Nuran shoes. Same dyeable off white silk and leather lining as our shoe collection. Contains one pair.